The Elegants is an American doo-wop vocal group, that was started in 1958 by Vito Picone, Arthur Venosa, Frank Tardogno, Carman Romano and James Moschello in South Beach, Staten Island, New York. Before their nursery rhyme inspired song, "Little Star",became a number one hit, the band usually performed informally under the boardwalk by their homes. "Little Star" was the only million seller for the group, and was written by Venosa and Picone. It spent 19 weeks in the Billboard Hot 100, earning gold disc status. The song reached number 25 in the UK Singles Chart in September 1958. 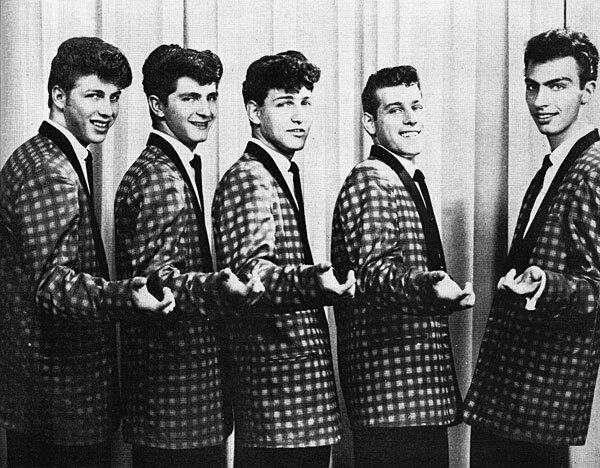 After their success with "Little Star", the band, still in their teens, toured with artists such as Buddy Holly, Dion and the Belmonts, Chuck Berry and Jerry Lee Lewis. However, none of their subsequent singles reached the charts at all making them a prime example of one-hit wonders. In early 1970s, lead singer Picone returned to the group replacing Tardogno as the lead singer. That group comprising Vito Picone, Freddie Redmond, Nino Amato and Bruce Copp have been together ever since and to this date, have not stopped touring. They can be seen annually performing at the San Gennaro Festival, in Little Italy, Manhattan, New York City. According to the Elegants website, Freddie Redmond died of emphysema in 2006, and was replaced by original member, James Moschella. As of 2012, the Elegants are still performing at concerts and events throughout the United States, under the name "Vito Picone & The Elegants". They still perform "Little Star", as well as their interpretations of many golden oldies. The Elegants band consists of Mike Catalano on bass guitar, Joe Lucenti on lead guitar, Mark Garni on keyboards and Sal Albanese on drums. Moschella performed with The Charts in the 1980s. Carmen Romano died on August 2, 2016 at the age of 76. Original member, Artie Venosa died on April 20, 2018.